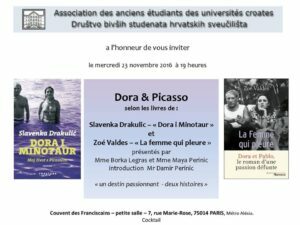 Association des anciens étudiants des universités croates (Society of students studying at Croatian Universities in Paris – Društvo bivših studenata hrvatskih sveučilišta) organizes a discussion about two novels on Dora Maar and her relationship with Pablo Picasso. 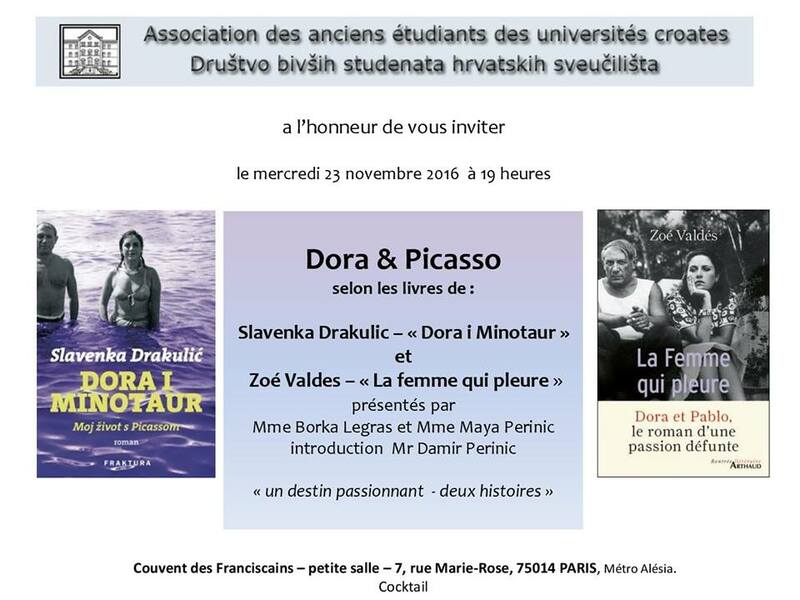 Drakulic’s novel Dora i Picasso will be contrasted with the novel by Cuban writer Zoé Valdés, La femme qui pleure. The event is taking place on Wednesday, November 23, at 7 PM. For more information about the society click here. 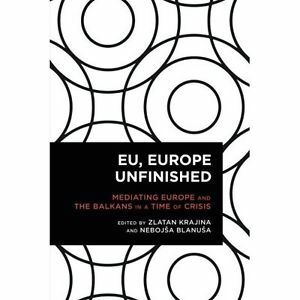 Slavenka Drakulić has been interviewed, together with David Morley (professor of communications), for the last part of the book EU, EUROPE UNFINISHED: Mediating Europe and the Balkans in a Time of Crisis. Editors are Zlatan Krajina and Nebojša Blanuša.